The federal government, after several years of debate, is taking an aggressive stance toward the hospital industry and proposing to lower what it pays for routine doctor visits at hospital outpatient departments. The bottom line: Medicare is tired of paying hospitals higher rates for services that used to be done in cheaper settings, like a doctor's office. Expect hospitals to fight this tooth and nail. Driving the news: The Centers for Medicare & Medicaid Services this week officially proposed a "site-neutral" policy for 2019. 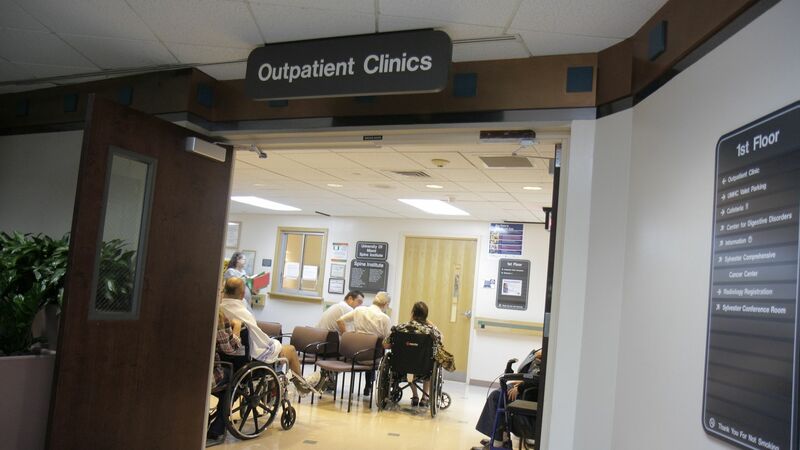 That means all outpatient clinics that are not on a hospital's campus would be paid lower rates for doctor visits, essentially eliminating "facility fees" that hospitals add on top of their billing. More specifically, this policy will only affect routine clinic visits based on a certain billing code. Instead of paying $116, which the standard hospital outpatient rate would have been, Medicare instead would pay the lower $46 physician rate — a 60% cut. By the numbers: CMS estimates this policy would cut rates to hospitals by about $760 million next year, which is only about 1% of Medicare's outpatient payments. About 20% of those savings would accrue to Medicare beneficiaries in the form of copays they would no longer have to pay. Be smart: This is a somewhat narrow policy, since it only affects one kind of service. But it could open the floodgates for more services in more types of hospital outpatient settings to be paid at lower rates, and that's what frightens hospitals. Hospital lobbying groups predictably put out statements condemning CMS' proposal. But Axios asked the American Hospital Association if CMS had valid points with the policy, given that independent experts agree the current system gives incentives for hospitals to buy doctors' offices so they can jack up rates and add on facility fees. The AHA responded with an old op-ed written by its top lobbyist, arguing how higher payments are needed so hospitals can provide "around the clock" care. Looking ahead: Expect hospitals to lobby extremely heavily against this, especially major teaching hospitals that would see some of the biggest payment reductions. And depending on what happens with the final rule, there likely could be litigation, similar to what hospitals are doing for major drug cuts that Medicare imposed. Flashback: This is not a new idea from the Trump administration. CMS, under the Obama administration, has looked into site-neutral payments for roughly a decade, and President Obama signed a law in 2015 that excluded any new off-campus hospital outpatient clinics from higher payments. Experts have long condemned this type of payment system for contributing the frenzy of hospital consolidation.